Reminiscing in her autobiography, Infinity Net, about returning to Japan from New York during the so-called “Yen Bubble” (1986-1991), Yayoi Kusama, one of the best-known Japanese artists, wrote: “I experienced culture shock when I returned to Japan. Because the nation had become an economic superpower while I was overseas, I had expected to find a certain cutting-edge, modern spirit, and to find that democracy had developed in concert with the nation's growth. But the reality was very different.” It seemed to Kusama that it was precisely Japan's avant-garde artists who found themselves in the most disadvantaged situation. Wealthy Japanese art collectors fawned over Westerner artists (often of quite average quality), throwing millions at them and thereby completely disregarding the development of the local market. It is estimated that Van Gogh's Sunflowers may have been sold for only a third of its record-breaking sale price in 1987 had the buyer not been Japanese. The painting was bought for 40 million dollars by a Japanese insurance company. Knowing that a Japanese buyer desired the painting, a common occurrence at auctions at that time were behind-the-scenes agreements with call-in bidders, which thereby artificially raised the prices of artwork. 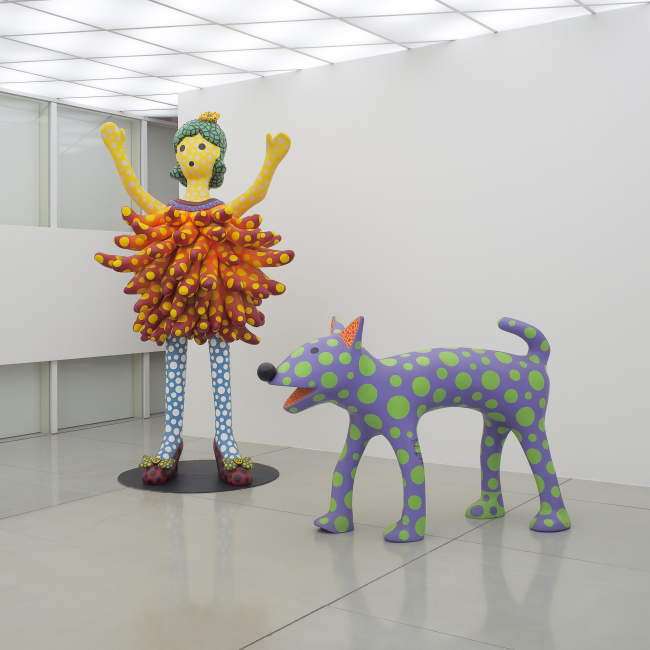 “I cannot help feeling that Japan is like a village of wealthy country bumpkins,” wrote Kusama. More than 20 years have passed since that time, but Ryutaro Takahashi, one of the biggest collectors of Japanese contemporary art, is still not very optimistic. “Maybe it sounds a little strange, but contemporary art still needs to find its place in Japan.” Takahashi is a psychiatrist, and we meet at his office at the Tamachi Clinic in Tokyo. It is a small and ascetic room with one table, three chairs, a bookshelf, a few paintings and a sculpture of a partially naked female torso by Japanese artist Katsura Funakoshi. Takahashi began collecting art in the second half of the 1990s, and he still has almost no competition in the local market. So far, he has been almost the only collector who regularly buys works by new Japanese artists. Even public institutions have few such works in their collections. When the Japanese talk about art, the first thing that comes to most people's minds is Impressionism. Takahashi first became enthralled by art in Tokyo's hippie-style cafés, where everybody talked about Kusama. He does not hide the fact that his primary goal in collecting art is to increase the visibility of Japanese artists. Over the years, many museums worldwide, including in Japan, have borrowed works from his collection. You've said in interviews that you trace back the beginning of your collection to Yayoi Kusama's exhibition in 1997. What do you remember most of that exhibition, and, looking back, what was it about Kusama's works that sparked a completely new stage in your life? I had already begun to collect the artwork of Kusama, Mono-ha, Koji Enokura and other artists in the 1990s, mainly by acquiring them in secondary markets. But Kusama's 1997 exhibition was special in that it contained works in which she had painted her famous dots in oil paints. Kusama began painting dots in the 1960s, but later, in the 1970s and 1980s, she painted them only in acrylic paints. It was precisely these dots painted in oil paints, after so long of a break, that spoke to me and moved me, because I distinctly remembered her 1960s world of oil-painted dots. A psychiatrist once suggested to Kusama that she turn her visions into works of art. Considering your profession, are you able to look at her works merely as an appreciator of art? For example, what impression did Kusama's famous Infinity Net have on you? In Kusama's case, this link with the psychiatrist and his suggestions is a success story. Kusama regularly suffered from having visions, and if that had continued, she would have eventually entered a world isolated from society. But the ability to express what was happening within herself in a language of art noticeably lessened her risk of psychological collapse. If we look at how Kusama devoted herself to art as a method of healing, a way of overcoming the risk of psychological collapse, in her case it was a very effective form of therapy and has given very good results. But Kusama was already drawing a lot before she began seeing the psychiatrist, and his suggestion only stimulated her to develop this talent further. The world we see in Infinity Net is very minimalistic and even mechanical, but if we delve into the movement of the dots, it seems to become very organic and natural. And it is precisely this balance between the organic and mechanic that creates the unique space that makes this work of art outstanding. Kusama lived in New York City for a long time. There she initially realised herself as an artist, and her happenings resounded internationally. How were her successes greeted in Japan, considering that she had fled that country because of the inability to realise herself there? Of course, information about her activities also reached Japan. Frances Morris, who curated a retrospective of Kusama's artwork at London's Tate Modern two years ago, has said that it was Kusama who developed the technique of American pop art luminaries Andy Warhol and Robert Rauschenberg. Of course, I also knew at that time that Kusama had great influence in New York as an artist. She was best known for her scandalous 1960s happenings that were staged as a part of the protest movement against the Vietnam War. Her happenings, in which naked people's bodies were painted with white dots, were known around the world and also in Japan. Of course, it would be an exaggeration to say that absolutely everyone in Japan knew about Kusama, but she was a star on the art scene of that time. You have sometimes seemed to act completely irrationally. For example, you sold real estate in Australia and stock in several companies in order to invest in your emerging art collection. Why? Yes, that was so. I sold real estate in Australia that I had been lucky to acquire earlier for a very low price, and with this money I bought artwork by Murakami. I had bought a piece of land for 20,000 dollars, and I sold it for 95,000 dollars. That was a good deal. And in a way it also marked the beginning of my collection. How would you describe your approach to collecting art? I collect artwork by Japanese artists. If you don't count Kusama and Murakami, then almost all of the artists represented in my collection are of the new generation. As a psychiatrist, I am very busy with my work and cannot afford to travel abroad very often. In addition, the non-Japanese artwork that makes it to Japan is, of course, not the best work by those artists. Their best work is shown and sold in their native countries or, say, Europe, and only the leftovers make it to Japan. Therefore, if I want to collect the best works by an artist, I must collect works by Japanese artists. That's also one of the main reasons for my choice. Although it's also true that certain trends and periods in Japanese art are becoming popular elsewhere in the world, such as Gutai and Mono-ha, but contemporary Japanese art is very close to my heart, and I believe that it has a special place in the context of world art. But it's possible that it's been forgotten a bit. I'd like to collect the best of Japanese contemporary art that's been made during my lifetime and show it to the world some day, thereby promoting a greater understanding of contemporary Japanese art on the whole. Do you think Westerners are able to understand contemporary Japanese art and, vice versa, whether Japanese can understand Western art? It's very hard. Right now I'm working on a big exhibition project at Opera City in Tokyo. It's going to be about a similar theme – whether Western aesthetics can be in harmony with Japanese aesthetics. For example, works by an artist like Makoto Aida or Akira Yamaguchi. Even though Aida is a very radical and conceptual artist, the concept in his artwork is very linked with this land, with Japan, and it might therefore be harder to understand for people from elsewhere. Or vice versa, it might be harder for a Japanese to understand, for example, the Western art world that is based on the Christian tradition. So, I think that 100% understanding is impossible. I think about 80% understanding is possible. What do you yourself – as a person – look for in art? Why is art important to you? Infinity. Something that resembles eternity. I think it's also a striving for the beautiful. I will definitely die at age 80 – or at age 90, if I live very long – but art lasts for eternity. Of course, the artworks themselves will remain, but, more importantly, the beauty embodied within them is eternal. And it is, possibly, this very quality of eternity that speaks to us mortals the most. Even though there are wonderful contemporary art spaces in Japan, you've said that contemporary art still needs to find its place in Japanese culture. Why? Everything is fine with modern art, but the relationship with contemporary art is still problematic. In a way, we can say that Japan has had a very unfortunate history of art. At the very foundation was nihonga*, a traditional and wonderful world of art that goes back to the Edo period. Later, during the Meiji** period, which ruled in Japan a hundred years ago, nihonga fell out of favour. In an effort to become more Western, Western art was imported and two separate directions developed: nihonga and seiyōga (Western art). Later, when contemporary art joined them, it was contemporary art that turned out to be the least popular in Japanese society. 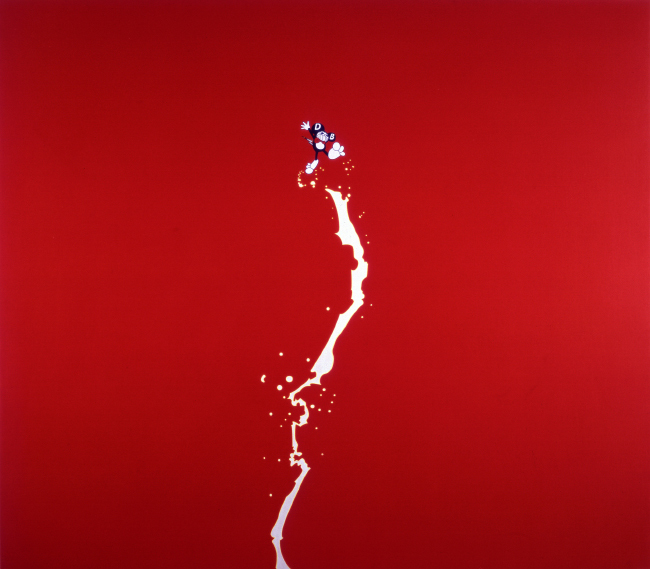 Contemporary art showed up in Japan in the late 1950s and early 1960s, along with Gutai***. Gutai was the very first and most famous contemporary art movement in Japan, within which Kazuo Shiraga painted with his feet and people thought it was art. Japanese people still believe that that's contemporary art. Or, for example, Nobuo Sekine**** of Mono-ha***** dug a big hole in Kobe Park with a excavator and left the soil in a pile right next to it. Everybody thought that that was contemporary art and, having decided it was too difficult to understand, they simply didn't want to get close to it. Is art a mirror of its time? Of course. It is both a mirror of its time as well as a mirror of each of us. This is also proved by the fact that only very recently – in the past ten years – have people finally understood that contemporary art is also art. The Takahashi collection has travelled across all of Japan and has also resonated in the further districts. I hope that has helped people to change their opinions. What do you think is the art collector's responsibility in that process? My collection has already gotten so big that responsibility undeniably comes with with. But I think Japanese museums, which are constantly borrowing from my collection, should take on greater responsibility. In the past 15, almost 20, years no Japanese museum has invested as much in creating a contemporary art collection as I have. Museums buy modern art from abroad and nihonga, but not contemporary art. You once said in an interview that supporting contemporary artists is the social duty of wealthy people. I'm not even rich myself! In Japan, when people's wealth begins to increase, they buy, for example, expensive watches and Ferraris. But if they've got the money, then they should buy artwork instead and support young people – that's what I've said! Is it important to you what happens to your collection after you die? That'll be after my death, and therefore I don't really know what the situation will be like. If it were possible, I'd very much like to collect and compile artwork from this period – from the 1990s to, say, the 2020s – of course, if I'll be granted that much time. There are currently about 2000 pieces of artwork in my collection now, and I'd like to organise and exhibit them somewhere. Do you plan on creating your own museum? I am really only interested in collecting; I'm obsessed by it. If I were a more rational collector, I might think more about balance – how much to invest in growing the collection and how much to invest in the eventual development of a museum. But the minute I get some money, I invest it all in my collection. I'm simply not capable of creating a museum. I've heard the opinion that collecting is a form of escape. A way of living a second, parallel life. Is it that way for you? Yes, I fully agree that it's a kind of escape from reality. But I also receive a lot of energy from my collection. So, it's both a form of escape and a way of receiving new strength and energy. The collection doesn't always have the same level or type of energy; it's like a mirror of my soul. When I'm tired, it takes away my tiredness, but when I feel good, it makes me feel even better. It's possible that a collection is like an amusement park for adults. Is it important for you to have works of art surrounding you? Yes, that's very important for me. When I talk to my patients, the conversations are usually very serious and often quite difficult because they're about illnesses, and so when I want to change the mood a bit, I look at the artwork around me. There are art collectors for whom it's always been important to meet the artists and talk with them. You've said that's not important for you. Yes, I don't go out of my way to do that. I'm not a very social person; in fact, you could even say I'm shy. I'm very shy about talking with artists. In Japan, about 20,000 people graduate from art schools every year, and they all want to be artists. But in each generation only an average of one person manages to survive as an artist. Those are the people whose artwork I collect. In the small country of Japan there are currently only about 50 people who are able to make a living as artists, but there are about 10,000 psychiatrists. I really feel that these artists have a talent; they are like gods, and I cannot be with them on the same level and maintain a conversation with them. If we have a drink together, of course, I can talk with them, but on an average day something like that would seem very frightening to me. But enjoying art together with fellow art collectors is a happy moment, and I don't wish to express it in words for fear of breaking the spell. Of course, I meet with other collectors, but we don't talk about works of art. We talk about wine or movies, for example, which are also close to art, but we never discuss art. There are artists we are used to calling geniuses. Have you, as a psychiatrist, tried to define that set of characteristics that make up a genius? That's a very special gift that we commoners have not been given. We can only pay money to acquire a part of what has been given to such people. A genius is practically like the leader of a religious sect who is able to give us something special. Can art change people? Has it changed you? Definitely, I think so. It can definitely change the way in which we look at the world. Is there a work of art that has evoked strong emotions in you lately? I was recently at Art Taipei, where there was a big nihonga art exhibition. A Chinese collector had bought and collected the works, and I was very moved that a Chinese person could also understand the world of that art. One of the pieces of artwork depicted a very beautiful woman – she was like a ghost – and that was very emotional for the eyes, for the heart, for the whole soul. How do you train yourself to tell good art from bad art? (Laughs.) If I didn't have my own values system, I'd never be a collector. I think every collector has one. Maybe there are some who are helped by very talented advisors, who suggest which artwork to buy, but I think the joy for an art collector is choosing the art himself, art that fits his own values system. In my case, these standards cannot really be explained with words; I go to a gallery, and as I look at the works of art, I feel which ones I'd like in my collection and which ones not. It's usually very clear to me. Takashi Murakami. ZuZaZaZaZaZa. 1994. Takahashi collection, Tomio Koyama gallery, Tokyo © 1994 Takashi Murakami/ Kaikai Kiki Co., Ltd.
Murakami and Kusama became very popular worldwide, and along with that – and their cooperation with luxury giant Louis Vuitton – the prices of their works increased astronomically. What's your opinion about the art world flirting with the luxury industry? There are very many talented people in the design world, and if these people gain new insights and influences from artists, I don't think that's anything bad. I also don't think it's directly linked to commercialisation, because the quality of the actual works of art has not fallen. In fact, the opposite has happened – if Murakami or Kusama's names were not as well known before, then now, thanks to this cooperation, many more people have learned about them. Their names are recognised, and that's good. Francis Outred, the director of the contemporary art section at Christie's auction house, said in an interview that he's convinced he'll see a piece of artwork sold for a billion dollars within his lifetime. I know art collectors that categorically refuse to talk about what's happening with the market right now in an effort to distance themselves from it. Does a link between the quality of an artwork and its true value still exist anymore? Right now it looks like the value of an artwork is determined by its market price, but I don't think there's actually any connection. It takes at least a hundred years for us to understand the true value of a piece of art. Right now lots of museums are buying artwork to show the might of their countries, which automatically increases the market prices. But I wonder whether pieces of art should actually be sold for such high prices. But, if money continues to be stockpiled and peace continues, I think a work of art could be sold for a billion. But if we have economic difficulties, I don't think prices will continue to increase. I would like to hope that we've reached the highest point right now, but maybe that's still ahead of us. No one knows. For example, I think Andy Warhol's works are too expensive nowadays. But the prices of well-known and easily understandable works of art will probably continue to increase for a little bit, but after a while they'll probably die down again. There are people who believe that it was the boom of the Japanese yen in the late 1980s that initiated the cult of the artist-as-star, vulgarised art as a phenomenon and set in motion this absurd market situation that we've got today. The only thing that's changed today is that we've got Arabic and Chinese money in place of the yen. What's your opinion? What happened in Japan in the 1980s is the same as what's happening in China right now. People who don't have much of an education but do have money began buying large quantities of artwork, thereby increasing their prices. For example, I think Damien Hirst's artwork is too expensive, and it's expensive for no real reason. There are artists who know how to create interest in themselves and artists who are written into the history books. As I already said, it'll take at least a hundred years before we see which of them were real artists whose works turned out to be truly valuable. From this viewpoint, I believe Kusama is already included in the history books. I don't think it would be strange or unjustified if her works now became ten times more expensive. On the contrary, the price of her works is still too low. How do you explain the Chinese art boom? Is Chinese art really more valuable than Japanese or Korean art? Or are the prices only market manipulations? To be completely honest, I think the level of contemporary Chinese art is very low and it's of low quality. This boom is based on patriotism and money. The current reserves of money are invested in art, but on the whole Chinese art doesn't have very high value on the world market. But China in and of itself is a very large market. The country has 1.35 billion people, and if we add to that all of the Chinese living abroad, then the number of people is staggering. These people think similarly, they have a similar sense of aesthetics, they love artwork by their countrymen – these are the things upon which the Chinese art market is based. But, compared with the level of the worldwide art market as a whole, the Chinese market is still undeveloped. What would need to be done in order to return its true value to artwork? I think that's a very difficult task, because our whole modern world revolves around capitalist ideas, and without inflation there is no growth in a world like ours. Money saved during inflation can be used for either gems or artwork. Another factor that encourages this increase in prices is people's constant desire to invest money in special things and eternal values. An investment in art is an investment in eternity, and I think that this human desire will not lessen. I therefore don't think that the value of art could fall. But we should try to lower the prices of overpriced artwork a little, otherwise the market becomes too artificial. How many of the works in your collection do you believe will stand the test of time and still be relevant in a hundred years? (Laughs.) Maybe about 10%. The rest will be garbage. Have you also sold anything during the time that you've been collecting? For the most part I don't sell. I've sold a few pieces of artwork, for example, the Warhol I bought when it was still cheap, or works by artists who have already passed away. Some of those I've sold, but not the new works of art. In any case, I don't sell the artwork I've acquired since 1997. Is there a work of art in the world that you'd like to acquire but cannot afford? There are very many works of art that I'd like to have, but I don't have that much money. My heart still aches for the five-metre TanTanBo painting by Takashi Murakami that I wasn't able to get. There was a Murakami exhibition at the Tokyo Museum of Modern Art in 2002 or 2003, and that's where I saw it. When I told the gallerist who represents Murakami that I'd like to buy it, he said that a British art collector had already reserved it a year ago in Basel after just reading the description of it. And the collector said that if he hadn't notified the gallerist by the time the exhibition opened, he could consider the deal called off. Since there was no news from the collector, I already thought the piece was mine and was quite moved. And I happened to have money to pay for it at the time, too, and everyone was already congratulating me on the purchase. But three days after the opening of the exhibition, the collector contacted the gallerist – I'm sorry for being late, I was vacationing in Switzerland and don't want to part with this piece of artwork. That's my most painful memory from the whole time I've been collecting art. Is it important for you to be remembered? I don't think it's important for my name to be written into history. But I would like for those talented artists of the new Japanese generation whose works I've been collecting for the past 20 years to remain known. And I'd like for my collection to remain as it is – giving people the opportunity to learn about new Japanese artists through my collection. I doesn't matter to me at all whether they associate my name with it or not. That's not because I have absolutely no ego; instead, as I said earlier, artists are like gods, and I would like for these gods to be valued. My ego is small compared to their talents. * A traditional Japanese method of painting based on a thousand of years of tradition and using traditional Japanese techniques and materials. Nihonga paintings are characterised by a deepness that is perceived as almost three-dimensional. ** The Meiji period lasted from 1868 to 1912. During this time, Japan transformed from an isolate feudal society into one of the leading economic and military powers in Asia. One characteristic of the Meiji period was a radical orientation towards the West. Thousands of Western specialists were invited to Japan, and many Japanese students left to study in Europe and America. The slogan “Learn from the West” also influenced art. Nihonga was relegated to secondary importance, with Western-style painting, or Yōga, taking its place. *** The Gutai group, established in 1954 by the Japanese artist Jiro Yoshihara, was the first radical art movement in post-war Japan. Its manifesto, written in 1956, celebrated the beauty that is born as the result of destruction. **** The interview mentions Japanese artist Nobuo Sekine's work Phase-Mother Earth (1968), which was created without official permission in Suma Rikyu Park in Kobe. The work consisted of a 2.7-metre-deep cylindrical hole and a cylinder of the same size next to it made of the soil removed from the hole. ***** Mono-ha, or “the school of things”, is a Japanese artists' group that was active from 1968 to 1975. Most of its members were graduates of Tokyo's Tama Art University. The movement was characterised by distinct anti-modernism; it had characteristics of land art, Fluxus and conceptual art. Members of Mono-ha used rough, natural basic materials (boulders, sand, wood, glass, metal) in their sculptures and installations and often arranged them in seemingly simple forms without evident artistic interference. The majority of these works were impermanent and were often later destroyed. One of the movement's ideologues was the well-known Korean painter, sculptor and philosopher Lee Ufan. Mono-ha was also a Japanese contemporary art movement that gained international recognition.